Are You Ready For The Future Voice Recognition? The science of voice recognition is changing the landscape of how we use computers. The possibilities are amazing. Voice recognition, the ability of a computer to “speak” to a person, such as over the phone, is already being used in various places. It is common practice now for a computerized receptionist to answer when contacting a company’s customer service center. In lieu of speaking to a real live person, the call is answered by a computer and assists callers in getting to the right department to handle their question. Most of us have encountered this before as it becomes more and more popular and can understand better what you are saying. Perfecting voice recognition has been a long time coming, but we are getting closer all the time to perfect. You probably will be surprised to learn that Alexander Graham Bell, more than 50 years before computers were ever even thought about, attempted to make a device that would make speech visible in an image deaf people could see and understand. 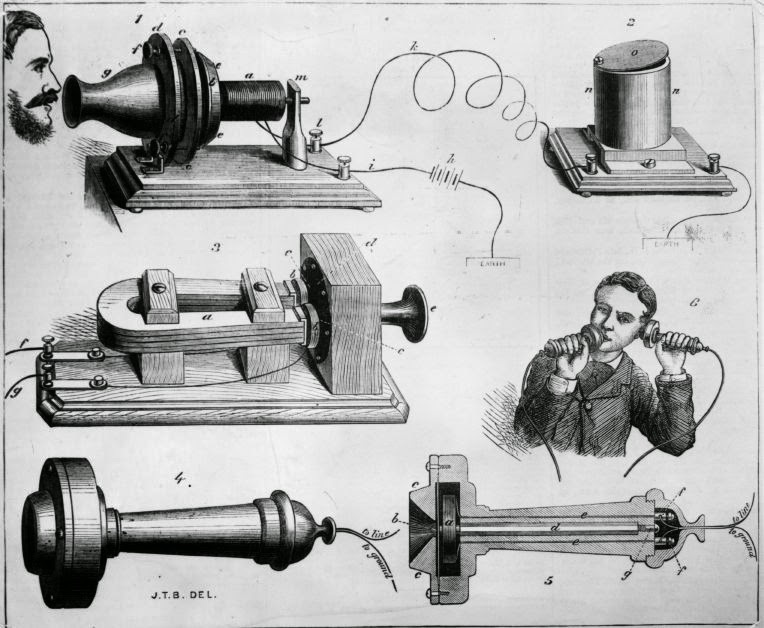 Bell’s wife was deaf and he hoped to invent something that would allow her to communicate through speech. Although Bell did indeed invent such a machine that turned speech into spectrographic images, it did not function as anticipated. His wife could not understand the images and translate them into “hearing” what he said. However, this line of research eventually produced the telephone. It wasn’t until the 1990s that computers powerful enough to handle speech recognition were available, even though scientists had been working in that direction for years. Speech recognition is finally coming into its own, with more and more devices with features that use this technology making their way into everyday life. Automated phone systems, as mentioned, are one application that has come into everyday life. For anyone who, in years past, attempted to communicate with some of the early applications knows that in the beginning said applications were very glitchy. Many times, with multiple misunderstandings, callers had to ultimately be routed to a live person. Today there are applications like Siri, Apple’s automated computer assistant. Anyone who has ever used Siri or seen it in actions knows that it is pretty amazing how quickly Siri answers back. Another application of voice recognition that many are familiar with is talk-to-text technology. The premise is you speak into your phone and it writes as a text message. It is impressive when it works, but can be very frustrating when it doesn’t. Today’s smartphones are able to utilize speech recognition programs due in part to the cloud, which allows the phones to access the computing power needed to power these programs. Nuance, a leader in the world of speech recognition and believed to be the power behind Siri, is turning its eyes to bringing voice recognition software to televisions and automobiles through their speech interfaces. Nuance is already working on an interface that will allow TV viewers to speak to their TV. 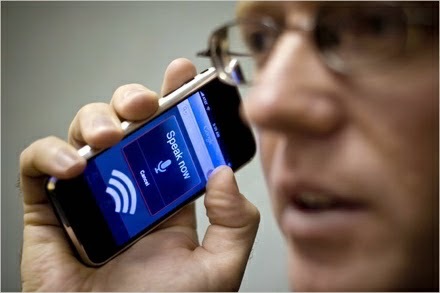 It is the same type of interface that enables cell phones users to talk to Siri. This would allow viewers to give a command to their televisions to search for programs with a particular word or phrase. Scientists are even now working towards a speech recognition program that would be able to take in streams of information and automatically translate them into English or any other language. This will allow people everywhere to partake of international news reports and newspapers. Another project seeks to use this technology to allow soldiers to communicate with the native population in other countries, removing the language barrier to effective communication. Due to the many difficulties, such as slang, accents, and dialects, this program is still far into the future. As Nuance continues to research and develop in the area of speech recognition uses, they aim to go beyond the simple recognition of what is being said, to understanding the meaning and intent behind the words to better serve the user. Some of the things Nuance sees in the future are vehicles that are capable of offering more than just the answer to a question, but also seek to solve any issues. The future uses for this technology are wide open as science continues to probe and explore all the ways speech recognition can enhance and facilitate our lives. Jessica Kane is a professional blogger who writes about technology and other gadgets and gizmos aplenty. She currently writes for Total Voice Tech, her go to for all professional Dragon products.